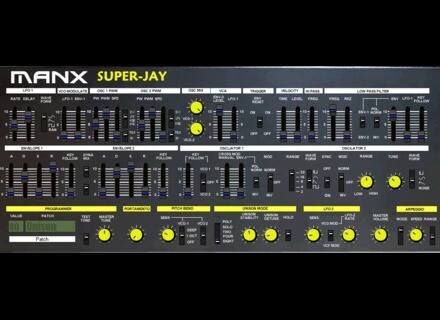 Super-Jay, Virtual subtractive synth from Manx. Manx has released the Super-Jay software synthesizer and reduced prices for the MM+ and XS-1 softsynths. The Super-Jay provides the sound & functionality of an early 80's classic polysynth. Like other Manx synths, it's based on the 'Manx Engine' which is designed to produce "a warmer and authentic sound," according to the company. Audiofile Engineering FiRe 2.0.1 Audiofile Engineering has released FiRe 2.0.1, a new version of their field recording App that has been redesigned and rewritten with new features for the latest iOS devices. SamplerBanks Fundamentals Of Neo-Soul Samplerbanks has released Fundamentals Of Neo-Soul, a video tutorial by Gospelmusicians. Quick Licks - Kerry King Thrash Metal Lick Library is now shipping Quick Licks in the style of Kerry King Thrash Metal key: E Minor.